To escape the devastating effects of burnout, nearly all of these employees made the difficult decision to leave their employers. This was accomplished either literally by quitting their jobs or figuratively through acts of presenteeism (where they were physically at work, but their minds and energies were directed elsewhere). But simply leaving the situation that caused burnout is not enough to overcome burnout – and the likelihood of another burnout during recovery is frighteningly high. Most people are unaware of two important conditions in burnout recovery. First, while the descent into burnout is relatively quick, the recovery from burnout is lengthy – taking years rather than months. Second, the recovery period is fraught with opportunities to boomerang back into another full-blown burnout at any time. In researching my B-DOC Model, I discovered that this “danger zone” easily exists for two years following the burned out worker’s separation from their jobs. During this time, burned out workers are extremely susceptible to a “boomerang” effect that I call residual burnout. Residual burnout occurs – often without warning – during the 2 years after an employee leaves the situation that caused their burnout. During this 2-year period, burned out workers are consciously trying to get rid of the lingering effects of burnout – including the frustration, anger, apathy, exhaustion, and chronic health problems. These recovering workers tend to be hypervigilant and highly sensitive to any situation, event, or interaction that triggers negative feelings that are similar to what they experienced when in full burnout. “Fight or flight” reactions to these similar situations are common – usually with a vehemence and emphatic cries of “hell, no!” that are often out of character. When we remove ourselves from the burnout-producing situation, we expect that our feelings of burnout will substantially decrease or disappear. We tend to overlook the fact that recovery from burnout can take years rather than months. This lengthy post-burnout recovery cycle is a treacherous part of the burnout phenomenon, but one that I believe has received little (if any) attention. The duration and highly charged emotions of the recovery period often take us by surprise. But what’s even more surprising to us is how quickly we seem to get “sucked back” into the burnout that we thought we had overcome. Any situation during the recovery period can trigger us back to any or all of the previous stages of our burnout (frustration, anger, apathy, and full-blown burnout). While the downward spiral to our initial burnout could have taken 6 to 12 months, this residual burnout can occur in just a few days. Repeated experiences of residual burnout further lengthen our recovery. To avoid another round of burnout, we tend to use the same coping mechanisms that we used when trying to avoid our previous burnout: not sleeping or over-sleeping, over-eating, drinking too much, avoidance, denial, depression. The boomerang nature of residual burnout is eerily similar to post-traumatic stress disorder (PTSD). Both PTSD and burnout sufferers are prone to flashbacks to the precipitating stress-producing situation. It is a frightening, emotionally charged, and potentially debilitating experience. It is, therefore, not surprising that the flashbacks of residual burnout can cause lingering feelings of dissatisfaction, anger, apathy, and both physical and emotional exhaustion. When we feel like this, it is impossible for us harness our energy, enthusiasm, and motivation to move forward. But despite these profound similarities, PTSD is a recognized disability that warrants reasonable accommodations by employers under the amendments to the Americans with Disabilities Act, while burnout does not. Without this external support, it also feels like we are in a bottomless pit and that we will never fully “get over” our burnout. Residual burnout is a landmine that thwarts our forward progress to recovery after we have left our burnout-producing situation. While often ignored by researchers and practitioners, the similarities to PTSD make residual burnout a very real and foreseeable human reaction to the all-consuming feelings of distress experienced during burnout. In my own experiences and when working with others, simply knowing that it can take two years to fully recover from burnout can be very helpful. Although it is frustrating to know that a full recovery is such a long process, it helps us to remember to be kind to ourselves and our emotionally raw reactions after burnout. We need to take the time and make the time for rest, exercise, and relaxation. “Being kind to ourselves” is something that we often “forget” to do when we are in the downward spiral toward burnout. We need to self-reflect (a critical stage in the recovery process) – but not necessarily on what we “did wrong” that caused our burnout, but on the interplay between what was going on in our lives, how others responded to us, and how we felt and reacted. The goal is not guilt, but a core knowledge and understanding of who we are, what we want, and how we react. We need to vigilantly observe what is going on around us – to be on the lookout for situations, events, and people that we believe are very similar to those found in our previous burnout-producing situation. Perception is reality. By identifying and categorizing these experiences, we are better able to move toward more proactive decision-making in regard to how we will (or will not) respond to these stressors. Finally, we need to specifically describe what it is that we expected to happen after burnout. Burnout often occurs when, despite our most diligent efforts, the reality does not meet our expectations. Therefore, it might be unrealistic to believe that we will be the exact same people that we were before we burned out. Burnout (like PTSD) is debilitating and demoralizing to its victims, so we cannot expect to view life the exact same way that we did before. But we can use the knowledge and insights gleaned from our recovery from burnout to help us move forward in a newer, healthier way. FREE Burnout Recovery eLearning Course – click here! We humans have an innate need to dream and grow — yet many of us must deal with people who undermine or sabotage our chances for success. While these “dream stealers” may appear to have good intentions, they are actually transposing their insecurities on you. The challenge is that dream stealers are often the people who you care about or respect. As a result, they can have a profound influence on how you move toward and feel about your success. This 7 ½-minute “mini” webinar provides helpful tips on how to spot the telltale signs of dream stealers in your life, as well as understand why they are trying to sabotage your success. Is the 40-Hour Work Week a Distant Memory? A full-time job in the U.S. traditionally consisted of a 40-hour work week and (with the exception of certain industries) working 9-to-5, Monday through Friday. Weekends were then free for us to do whatever we wanted – generally things that were not work-related. As we all know, things have changed…drastically. According to a Gallup report released in Fall 2014, the average number of hours worked by full-time employees in the U.S. is now 47 hours. In essence, we’ve expanded our 5-day work week into the equivalent of a 6-day week. 18% work a whopping 60+ hours per week – that’s 1 out of every 5 employees! Half of all full-time employees work over 40 hours each and every week. Could this be a contributing factor to the high rate of burnout in the workplace? Is There a Link Between Long Work Hours and Burnout? Abraham Maslow explored the relationship between long work hours and the individual’s ability to self-actualize (or become the best that he or she could possibly be). Although we traditionally think that the longer we work, the more likely we are to experience burnout, Maslow argued that this is not always the case. Maslow found that our level of work-related enjoyment or job satisfaction is significantly related to feelings of happiness, esteem, and the ability to self-actualize. In other words, if we love what we’re doing, then we don’t mind – and actually enjoy! – the number of hours that we spend doing that job. Don’t believe me? Think back to a time when you were fully engaged in an activity and time seemed to “fly by.” It’s the same experience for people who love their work. Although the 60-hour work week has long been correlated with a higher propensity to burnout, a new breed of professional seems to dispute this. This “extreme job holder” is a high achieving, Type A personality who works outrageously long hours and is highly compensated – receiving “over the top” rewards for his or her efforts. These workers are found in the top 6% of earners. According to studies by the Center for Work-Life Policy and the Hidden Brain Drain Task Force, 56% of “extreme job holders” work 70 or more hours per week and 9% routinely work over 100 hours per week. An interesting fact about “extreme job holders” is that they are not forced to work these outrageous hours. In fact, 66% in the U.S. and 76% internationally work these long hours because they love what they are doing. But this is definitely not the norm for most workers. According to Gallup, only 13% of U.S. employees actually enjoys their work! When you combine long hours spent on duties and responsibilities that you don’t enjoy, then this is a de facto recipe for burnout. Should U.S. Companies Limit Employee Work Hours (or at Least Give More Paid Time Off)? Although extreme job holders seem to reflect Maslow’s concept of self-actualization, many workers are unwilling to sacrifice all other aspects of their lives to a job – especially if it’s a job that they don’t enjoy or one in which they are disrespected, demeaned, or demoralized. Particularly for these individuals, a cap on the maximum number of hours that their employer can require them to work might be a way to help them avoid burnout. As many as 134 countries currently have laws stipulating statutory maximum work weeks. For example, the European Union recommends a 48-hour maximum work week and a minimum daily rest period of 11 hours. France, Greece, Italy, U.K., the Netherlands, and others subscribe to this 48-hour maximum. Some countries decreased this maximum even more. The maximum work week statutes in Austria, Finland, Norway, Poland, and Portugal reduced the week to just 40 hours, while Belgium reduced its maximum work week to just 38 hours. In marked contrast, the 40-hour work week typical in the U.S. relates only to the number of hours worked before overtime payments kick in for non-exempt workers. However, there is no federal maximum on the number of hours that a company can require its employees to work. In many cases, overtime is no longer optional, but mandatory. 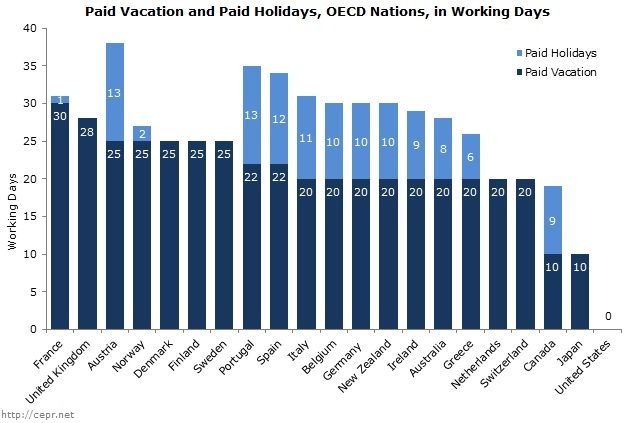 In addition, the U.S. is the only developed nation that does not federally mandate paid vacations or even holidays for its workers. While the average paid time off is only 2 weeks (or 10 work days) in the U.S., this number skyrockets to 20 to 30 days for most other countries. With burnout in epidemic proportions, it might be time for companies to take a hard look at the workloads that they are heaping on their employees. Try putting a cap on the permitted number of hours that an employee (particularly those in the exempt salaried category) can work. Also, require workers to take the paid time off that is due to them each year. These can be valuable first steps to overcoming and eventually eradicating burnout in the workplace. Nothing is permanent. But even though we recognize this fundamental truth, we nonetheless are often surprised when things come to an end – or anxious when they don’t come to an end soon enough. Impermanence is a concept that can be disturbing or even depressing to many people. After all, we want the good things to continue as long as possible (if not forever). We love the newness and emotional high of a new relationship – yet we are dissatisfied when the newness fades into a predictable routine. We relish the feelings of calm relaxation while on vacation – yet we replace these feelings with anger when we must deal with the backlog of work when we return. We are exhilarated when we are recognized for our professional success – yet we are offended when the people around us forget what we accomplished. More than anything, we want to be happy in our lives – for as long as possible. And, for some strange reason, we think (or hope) that bad things won’t happen to us. Even though we regret the impermanence of the good things in our lives, in the height of a particularly challenging “bad” experience, we forget that “this too shall pass.” In fact, when it comes to the bad things in our lives, we want them to end – sooner rather than later! If nothing else, we humans are paradoxical creatures. When faced with these inevitable challenges, we tend to revert back to the previous good times and then ask ourselves why these “bad” things are happening to us. But bad things are just as fundamental to life. In fact, we can’t really cherish the good things in our lives without the counterbalance of the bad. The good news is that both the good and the bad don’t last forever. By internalizing this basic truth, Buddhists say that we have the key to happiness, mindfulness, and balance. When we recognize that life is impermanent, it changes our daily decisions and consequent behaviors. When we know that nothing is forever, we are not only better able to weather life’s inevitable challenges, but also cherish every moment that we are alive – because we realize that we, too, will come to an end (hopefully later rather than sooner!). When we recognize that our new relationship will change as time goes on, we better appreciate and are fully present during the good times – we can also bask in the newfound security of growing more comfortable with that person over time. When we acknowledge that our calm feelings on vacation will be challenged when we get back to work, we can make the choice to not get angry about the workload that accumulated during our absence – we can even use our emotional memories of that calm relaxation to take us back into that state even if we are bombarded when we return. When we are humble in addition to being exhilarated when people recognize our professional success, we also acknowledge that memories are short, life goes on, and we need to continue to move forward toward new goals. Instead of dwelling in the past or dreaming of the future, realizing that life is impermanent helps us to concentrate our minds on the present moment. Because, after all, the past is but a dream and the future is just an idea, but the present is all that we really have to live our lives to the fullest. “Engagement” seems to be the new buzz word in the business community. It’s often used as a way of determining an employee’s level of commitment to the job and the company because a fully engaged employee harnesses his or her physical, intellectual, and emotional resources in their work. This 7-minute “mini” webinar looks at employee engagement from the perspective of quantifiable, bottom line financial results. While it may take some time to develop, an engaged workforce is a powerful and non-duplicatable competitive advantage for any company — regardless of size, industry, or market. Can We Be Happy at Work? The goal of “being happy” is an ingrained human desire – I’d even call it a hard-wired need. Not only do we want to be happy in our lives, but we also need to be happy. Yet happiness seems to elude many of us – even if we have the trappings of what others believe create happiness: a nice home, a nice car, money in the bank, a good job, and (of course) love. But as we all know, sometimes what we think will create happiness doesn’t necessarily reflect what actually makes us happy. But it’s not just “stuff” that we’re told will make us happy. I’ve recently discovered a fascinating phenomenon in companies that provide services to business owners. Most of them promise that their product or service – no one else’s! – will finally help us to achieve the success (aka “happiness”) that we want – and deserve! – from our businesses. What they offer is often a turnkey, “one size fits all” model that may actually conflict with what the business owner actually needs to be “happy” in their business. I’ve never been a fan of such “cookie cutter” approaches. When it comes to happiness, one size doesn’t fit all. In my research on burnout, I’ve discovered (not surprisingly) that burned out workers are also very unhappy workers. In fact, burnout tends to turn off our sense of humor – nothing is funny any more and everything is frustrating. 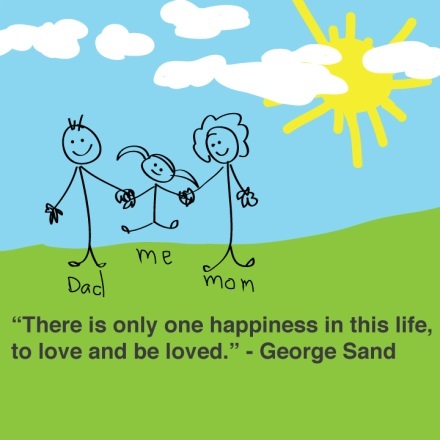 According to George Sand (as quoted in the cartoon above), “There is only one happiness in this life, to love and be loved.” While we can understand and appreciate this in our personal lives, why does this fundamental insight fly out the window when we go to work? In other words, why do we tend to manage others in a way that doesn’t address our human need to love and be loved? Obviously I’m not recommending anything that even hints of sexual love in the workplace. Sexual harassment and discrimination are not only illegal, but they also reflect anger, resentment, and degradation rather than love. A simple “thank you” or “great job” for others’ efforts. Genuine expressions and acts of appreciation are closely related to the positive feeling of love, which is closely associated with feelings of happiness. Empathy and understanding for employees’ competing work-life demands. The ability to understand and empathize with another’s struggles and joys not only creates positive bonds between people, but we also tend to be happier when we believe that we are understood. Asking for someone’s expertise and input during the planning and implementation phases of a project. Love and happiness cannot exist in a healthy way unless there is respect between the parties. We spend the vast majority of our time at work, thinking about work, and actually working. As a result, our work environment and on-the-job experiences play a huge role in our feelings of overall happiness. Happy people are rarely burned out. Perhaps this is because they enjoy the work that they do and they do the work in an environment in which they are appreciated, respected, and valued. Happiness also rarely exists in a vacuum. Toxic work situations characterized by politicking, mistrust, disrespect, and behaviors that don’t address the very real emotional needs of the workforce are rarely “happy” places to work. As a result, those unhappy workers won’t be fully engaged and committed in helping the company achieve its goals. When a star performer is also an unhappy and burned out worker, you can bet that he or she will soon leave the organization. When they don’t “feel the love,” they’re destined to find it somewhere else – usually with your competitor. Maybe it’s time that managers and human resources professionals begin to focus on employee happiness rather than on the nebulous and esoteric concept of “job satisfaction.” After all, you can be technically “satisfied” at work, but still not really be happy to be there. Happiness at work creates that added “oomph” that transforms and enhances the way in which we do our jobs. If you want outstanding performance from your workers, then you need to provide a work environment and culture that constantly reinforce that they are appreciated, respected, and valued. In this way, you can “show the love” for your workers – which is one step closer to helping them achieve the happiness that they want and need at work. 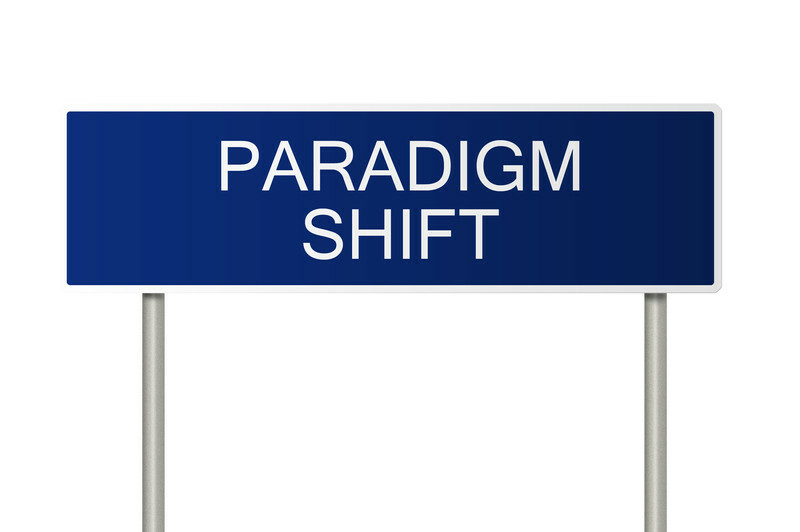 One of the most important paradigm shifts that I have ever made is related to the idea that we can “have it all.” What I’ve discovered is…we can’t. Whenever we say “yes” to one thing, we simply have to say “no” to something else. If we don’t, we are over-extending our resources – physically, emotionally, mentally, and even financially. As a result, we are much more likely to be unhappy and burned out. When we say “yes” to getting married, we (hopefully) say “no” to dating other people. When we say “yes” to losing weight, we say “no” to decadent desserts. When we say “yes” to living a well-balanced life, we have to say “no” to anyone or anything that contributes to a sense of imbalance or dissatisfaction. It’s all about our priorities. There are only a limited number of hours in each day. Each of us has different biorhythms that reflect our “peak” times for getting work done. We also have a very real, unconditional need for restful sleep so that we can recharge for the coming day. This balance of work and rest has to be completed every 24 hours each and every day. By living our priorities, it is much easier to say “yes” to the things that really matter to us – those things that reflect what we want, who we are, and what we believe in. The realization that we can’t “do it all” often invokes fear in many of us. But fear is not the problem that prevents us from “doing it all.” The real problem lies in our unrealistic expectations of what we are humanly capable of doing. High standards are great. But we can’t – and shouldn’t – try to be superhumans by saying “yes” to everything that comes our way in our personal and professional lives. By saying “yes” to everything, we are unable to commit fully to any of the things that we said “yes” to. When we are over-extended, it is highly unlikely that we will sufficiently follow through with any of these commitments. Life is full of trade-offs. Living a more well-balanced life is a choice. It requires us to recognize, respect, and adapt to the fact that we can’t “do it all” and (probably more importantly) don’t try to “do it all.” Although we can do a lot of things well – we can’t (and shouldn’t) strive for “perfection” in every aspect of our lives. By saying “yes” to everything, we are actually saying “maybe” to most things. Instead of being able to commit to excellence in the things that we choose to say “yes” to, we actually commit to mediocrity because our energy and resources are stretched to their limits. Instead of creating excellence, we succumb to mediocrity by our inability to say “no” to the things that conflict with our priorities. The power and courage necessary to determine what we choose to say “yes” to comes from identifying and committing to the priorities that are important to us. It then becomes much easier to say “no” to anything that conflicts with our self-identified priorities. Saying “no” doesn’t mean that we are “missing out” or short-changing ourselves. Paradoxically, the more comfortable we are in saying “no” to things, ideas, and people that do not reflect our priorities, the richer, fuller, and more satisfying our lives ultimately become.